​Campers at The Nature Place can either ​bring lunch from home ​or purchase lunch through the Threefold Cafe’s Camp Lunch Program. Packing your camper an ample, nutritious lunch makes for a fun, well-supported day at camp. ​Please read our notes on Green Lunch below​ for helpful tips on packing your lunch using sustainable methods. Remember Kermit the Frog singing the song, “It’s not easy being green”? I guess he sang this when feeling a bit down or sad. At The Nature Place our goal is to joyfully be green each and every day. Our being green isn’t about the color Kermit was lamenting, but rather, green in the sense of treating our earth kindly, gently, and as sustainably as we can. When we hear people – and we do it, too – say they are going to throw something ‘away’, we know that this isn’t factually possible. There is no such place as ‘away’! When something is thrown ‘away’, that thing is really somewhere on, under, or above the earth, albeit often in a different form. This summer we would like to be the greenest we have ever been. We hope you will get on board with us, as a way to help our environment and as an opportunity for your camper to realize that each day he or she can make a difference. Thank you to Green Meadow Waldorf School for sharing green lunch ideas and resources. * include a drink – water is the best! * at home, properly dispose of, recycle, reduce, reuse or compost everything in the lunch box Below are some resources which might prove helpful in your efforts to help us make lunch at camp as green as possible. Helpful tips for packing waste free lunches + lunch bags, containers, reusable snack baggies, and more. 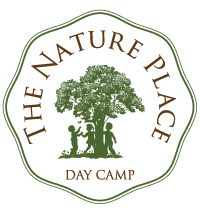 The Nature Place has partnered with the Threefold Cafe to offer a nutritious and sustainability packaged lunch program this summer. The lunch menu includes a selection of cold sandwiches and includes fresh fruit, a gluten (& dairy, nut & seed) free granola bar and a raw vegetable side. Each choice can be made on gluten free bread on request. Here is the link to the Threefold Cafe lunch program.